This sacred place was founded in 851 and is directly related to the EnryakujiTemple, the head temple of the Tendai sect, located on Mt. Hieizan. You feel the solemnity of an ancient temple in the majestic main hall and the Buddha statues lining the approach. Throughout the mountainare found gigantic stones on which the thirty-three Kannon in western Japan and bodhisattva are carved, and the view is really spectacular. From the mountain summit, you can look out across the Nasu mountain range and Mt. 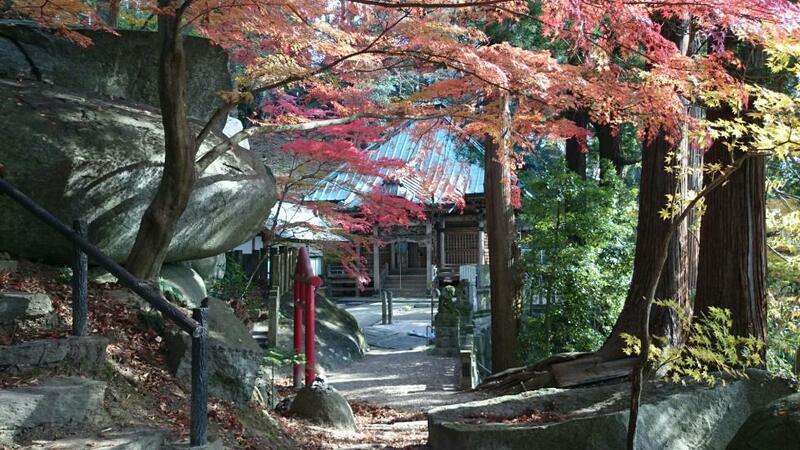 Adatara and enjoy autumn foliage in the fall.